The plot revolves around nomadic human tribes. The chief’s son, Keda, gets left by his tribe after being assumed dead in the “Great Hunt” of buffalo. Keda strives to get back home, but along his journey he injures a wolf. Deciding not to kill it, Keda takes the wolf on his adventure creating a bond between the two. This film’s story has been seen a thousand times before, but “Alpha” manages to be so breathtaking with its cinematography and attention to detail that it’s hard to get upset about. Everything down to the language, clothing, medicine and face paint was beautifully developed. If you’re the kind of person who doesn’t like subtitled films, at least give this one a chance. There is very minimal dialogue in the film and most of it is fairly self-explanatory. However, the fact that they use a native language during the entire film simply adds to the massive appeal. Plus, the subtitles are customized directly for the film, so they don’t take you out of the experience. On top of all of that, the dog/wolf that plays the titular Alpha does an amazing job. You truly feel as though there is a genuine connection and partnership between Alpha and Keda. The small details and quirks of a normal dog are all there and nothing really seems artificial. 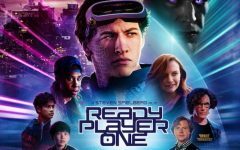 There is a slight twist at the end that does seem a tad bit unrealistic and forced, but it doesn’t ruin the film in the slightest. 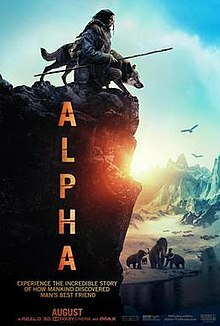 In conclusion, its story may seem primeval at first, but “Alpha” still manages to reign supreme over most modern dog movies.